WordPress is the most preferred blogging and Content Management System (CMS) platform for any kind of blogging site as it has lots of plug-ins, is flexible, and user and SEO friendly. Designed, keeping in mind the present and upcoming requirements of the blogging community, it is a secure and free CMS that uses the latest software development techniques.It is very similar to WordPress as it has plug-ins and tagging.It also allows import of WordPress. It supports databases like MySQL, PostgreSQL and SQ Lite and several users and sites with one installation. A full featured control panel makes it easy to monitor and control one’s website. This platform is absolutely free and the users can get a demonstration even without downloading the software. Google group and FAQs on Wiki offers support for the installation and running of Habari. It supports for a wide variety of plugins and extensions like Last.FM, contact forms, spam management, Google Maps, Amazon, AdSense and Analytics. It is a fully hosted CMS solution which can be installed effortlessly due to the simple customizations that it supports. It comes in both free and paid version. The free package can be used for up to five websites, where numerous users can be added and 20 languages can be supported. Technical support is afforded by video tutorials, FAQs, Google user group, etc. The paid version carries additional features like the ability to remove advertisements, customize the interface using the wysiwig editor, use of one’s domain name and logo, a 24/7 technical support,etc. This is also an open source blogging platform designed to meet the requirements of the present generation. It has been built using modern technology – 960 grid, Zend Framework, and jQuery and this makes it flexible, fast and light. The most important feature of this CMS is the widgets and the visual layout editor that allows one to drag, resize and drop any interface component. It is SEO friendly and multilingual and supports plug-ins and templates and has built-in extensions like support for banner advertising, tagging and polling; management of category, comment, simple menu and multimedia; in-built news system, etc. Technical support is provided via the project wiki and Google forum. This is an open source and free CMS where the user can create their own theme or choose from the various pre-constructed themes available. It supports plug-ins and modules like discussion forums, digital download support, advertisement servers, electronic commerce, configurable menu navigation, scrolling ticker, star reviews, image gallery, statistics and traffic management, etc.It can be easily installed and configured either manually or using the wysiwig editor and it can be edited from the browser itself. Technical support is provided via the active Google community, FAQ and documentation. This is a CMS especially for creative people as the designs are very elegant and the user can control the interface of the website. It also allows the user to organize all the URLs, page titles and meta-tags to rank high in Google search. Import of WordPress and excellent e-mail support is given to the users. 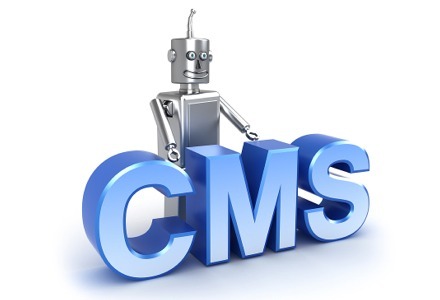 After reviewing the features of all the CMS providers, the website owner can sensibly choose the appropriate provider depending on his/her requirements and capabilities.